You’ve been applying to job after job all summer long, and you’ve finally landed an interview — congratulations! Now what? How can you make the most of the time you have to prepare for the interview and then stand out, in a positive way, during the interview? Remember, no matter where you’re interviewing or who you’ll be interviewed by, they’ve selected you as a potential fit for the position. In a time where company culture has become a major deciding factor for many candidates and employers, presenting your authentic self will help ensure you’re partnering with a company that shares your values. Pro Tip: Keep in mind that the interview goes both ways. While your interviewer is trying to select the best candidate for the position, you are interviewing them to see if they are the best company for your professional aspirations. By being yourself, you’ll be able to assess whether or not this position is the right fit. Preparation is the key to many things in life, especially interviews. Do your research on the company, its employees, and your interviewer before you arrive for your meeting. It’s important to go beyond the basics — what the company does and what their website says about them — to research market trends, industry innovations, and the company’s role in the community. By doing your homework, you’ll show that you care, and by digging a little deeper, you’ll stand apart from your competition. 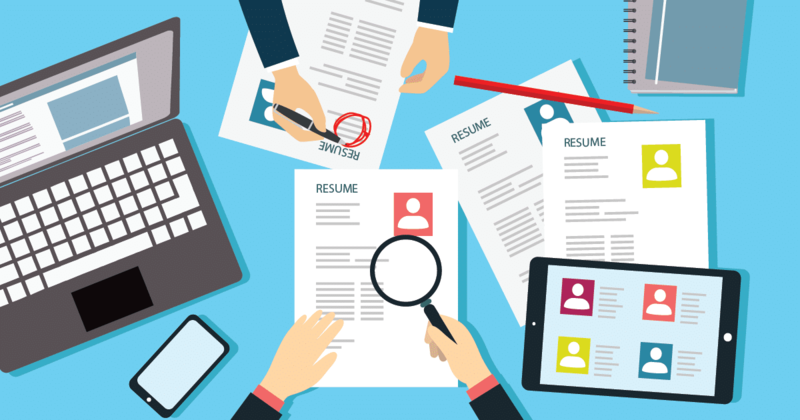 Even if you’ve already sent your resume and cover letter electronically, be prepared to print 3 hard copies to bring to your interview, as well as something to write with (preferably a pen) and something to write on (a professional padfolio). What qualities does a person need to be successful in this role? Why is the position vacant at this time? What are your plans for someone in this position in the first 30, 60, or 90 days? What are some of the challenges faced by the previous person in this position? How will you measure the success of the person in this position? Pro Tip: Timing is everything. Be sure to leave yourself enough time to manage unexpected traffic delays or a less-than-ideal parking situation. Arriving late or at the last minute may get the interview off on the wrong foot. You’ve been invited for an interview because someone was interested in your resume. Take ownership of your skills and accomplishments, and be ready to speak confidently about your past experiences with each position. Greet your interviewer with a firm handshake, and make eye contact with each person in the room. Pro Tip: Develop a short pre-interview routine to calm your nerves and boost your self-esteem. Whether you de-stress by taking a few deep breaths through your nose, listening to a favorite song, or simple stretching, experiment with what works best for you. As an added bonus, you can reuse this routine later for important presentations, meetings, or networking events. Need help landing your next career move? Visit our Top Jobs page to view our open roles and learn why The Morton Way could be the right fit for you.